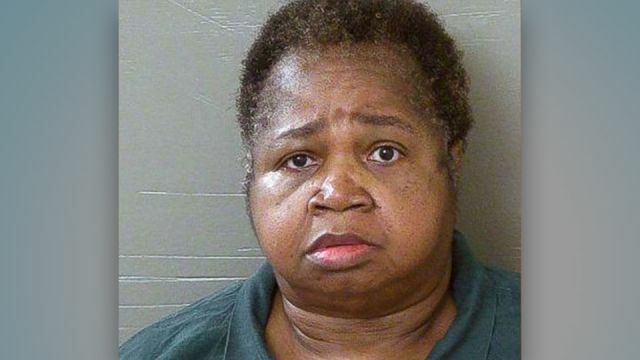 A 64-year-old Florida woman is being charged with killing her 9-year-old cousin after sitting on her and suffocating the child to death. Apparently, the woman sat on the child as a way to punish her for misbehaving. The woman, who is being identified as Veronica Green Posey, is charged with homicide and cruelty toward a child. Paramedics had to rush to the family’s home in Pensacola, Florida after a 911 call on Saturday. When they arrived, authorities performed CPR on the child, named Dericka, but it was too late. During the “punishment,” two other adult relatives, who are being identified in the police report as the girl’s parents, said that when they saw Posey, their child wasn’t breathing. The parents are now facing neglect charges. The arrest report also said that bystanders Grace Joan Smith and James Edmund Smith are being charged with child neglect. Investigators also claim that Posey hit the child with a ruler and metal pipe before she began her deadly ten-minute sitting session. When the girl screamed that she couldn’t breathe, Posey waited two additional minutes before getting up. Mike Carroll, Secretary of the Florida Department of Children and Families issued a statement calling the death “appalling.” “The agency will work with the sheriff’s office to hold those responsible for her death accountable,” said Carroll. HORRIBLY INCOMPETENT! Completely unnecessary tragedy! Ugh!! She’ll be losing weight real fast while she’s in prison. What the hell is wrong with people? What are your thoughts on this extremely unfortunate situation? Let us know in the comments! Hey Buddy!, I found this information for you: "325-Pound Woman Murders Girl By Sitting On Her". Here is the website link: https://www.thealternativedaily.com/325-pound-woman-murders-girl-by-sitting-on-her/. Thank you.